Thought your iPhone couldn’t get anymore handy—think again. 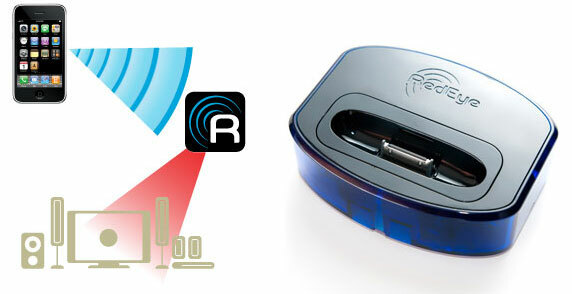 Today ThinkFlood introduced its RedEye Universal Remote Control System for the iPhone or iPod Touch. RedEye utilizes your Wi-Fi connection to turn your iPhone or iPod touch into a personal remote that can control any infrared device in your home. The company claims RedEye is easy to use and allows users to virtually control any home entertainment device from any room in the house. How does it work? ThinkFlood says the iPhone or iPod touch communicates with the RedEye base station through the customer’s wireless network to control their TVs, DVRs, stereos, gaming equipment and more. You can download the free RedEye App from the iTunes App Store, but the base station is $188 as well as the most magical part of this whole system. RedEye is available through the ThinkFlood website, which also lists all participating dealers and available retail locations. Check out these demo videos of RedEye working its magic.